Last weekend was very cold in Edmonton, Canada. The temperature dropped to minus 30, and, with the wind chill, it felt like minus 37. My eyelashes froze and so did my toes inside the thick snowboots I was wearing while clearing the huge piles of snow outside the entrance to my house. After the door bell rang and my son’s friend Logan (age 6) arrived for a play-date, the two boys started to play hide-and-go-seek. I then seized the opportunity to call my family in Gaza to see how they were coping with the cold, the power outage, and life under the blockade. I also wanted to wish them a Happy New Year. I was glad that my sister picked up the receiver rather than my protective Mom, who always tries to filter the news she gives me for fear that it will cause me too much worry, a task that is usually very difficult as the news coming from Gaza is often depressing or heartbreaking. With only four hours of electricity a day, followed by 12-15 hours of outages, in besieged Gaza’s cold winter and amidst the devastation and destruction caused by the 2014 aggression, the life that was already made harsh and miserable as a result of the occupation has become even more costly and unbearable. My sister told me the story of two young brothers from the Alhabeel family – Khalid and Omar, ages 3 and 4 respectively. They paid a terrible price – one that can never be compensated. When a fire erupted on 3 January from a tiny candle the family was using to light their home in the Shati refugee camp in the west of Gaza City, their two innocent lives were lost. Omar and Khalid hid in a closet when they noticed the fire, thinking it would protect them. Under most circumstances, a closet is an ideal place for kids to hide, but alas not in Palestine including Gaza. There, children, like the rest of the population, are denied basic rights including the right to be protected. A closet was also the place where my son Aziz hid from Logan when they were playing hide-and-go-seek during my telephone conversation. When he was found, their laughter filled the air in the house; in the Shati camp, however, the closet air was filled only with the cries and tears of innocent souls being suffocated to death. This accident would have been a normal one had it resulted from carelessness during an occasional birthday party or a romantic encounter as sometimes happens in other places in the world. But the candle accident in Gaza was not normal. Candles are lit there every night to lighten the darkness that 1.8 million people are forced to endure. Since 2006, Israel has imposed its blockade to punish Palestinians for exercising their right to elect their own parliamentary representatives. With their deliberate targeting of the only power plant in Gaza during their last assault, the destruction of many of the power lines coming from Israel supplying the enclaves’ eastern areas, and the restrictions placed on getting sufficient fuel to operate what little remains of the plant – not to mention the Palestinian’s own political split and financial problems – the Israelis have ensured that the Gazan nights are bleaker, longer, and colder. While all of the above-mentioned factors played a part in the Alhabeel family’s loss, the underlying causes behind the tragedy sharply point to the inhumane blockade mastered by Israel and maintained by its allies. Omar and Khalid were the victims of the crime of collective punishment, and Western governments have permitted this to happen and go unnoticed for the ninth year in a row. The story of these children is one of hundreds that the mainstream media have managed to overlook. The media fail to do justice to the Palestinian victims of the occupation and they help Israel to commit its crimes unobserved. The media also overlook the complicity of other regional powers who are helping to maintain the blockade and to encourage Israel to wade deeper in their oppression of Palestinians. The power outage is only one of the ugly realities that Palestinians have had to confront each day, 7 days a week, 365 days a year for many years now. A whole generation has been born and grown up in darkness – a generation that has witnessed three wars in less than six years. It is also a generation that has been left alone in its personal struggle to overcome the trauma and psychological damage caused by the 51 days of Israeli aggression. Meanwhile, their parents are denied the right to rebuild let alone deal with their own loss and pain. 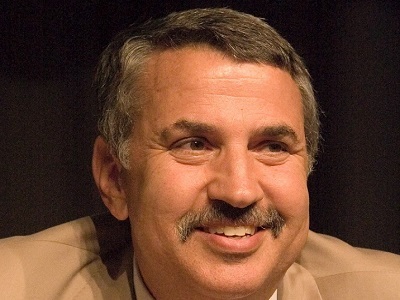 On the eve of a donor-reconstruction conference held in Cairo in October 2014, Oxfam reported that Gaza would need 50 years to rebuild itself if the Israeli blockade were not lifted. The same warning came from the UN Secretary General Ban Ki Moon, who stated that achieving stability meant “lifting the closure on Gaza” and also putting an end to “the half-century occupation of Palestinian land”. Four months after the end of the slaughter in Gaza and three months after the donor conference, the blockade is still in force and reconstruction in limbo, leaving thousands of homeless victims sheltered in UN schools or sleeping in tents on the ruins of their homes. Omar and Khalid were not the first victims and perhaps will not be the last ones as this inhumane blockade continues. On 4 January, the Al-Mezan Center for Human Rights issued a report stating that since 2010, 26 civilians, including 21 children, had been burned to death or suffocated in the Gaza Strip owing to the ongoing electricity crisis. Hundreds of Palestinians from the Jabalia refugee camp in the north of Gaza City marched on 5 January to protest regular power cuts, border closures, denial of rebuilding rights and other failed Israeli policies. These policies have included putting Palestinians on a “diet” (as Dov Weisglass, an Israeli advisor, cruelly put it) that will force them to explode inward. When my voice froze with agony for a minute during my phone conversation and when the seconds of silence lengthened, my sister tried to channel the conversation into another topic, talking about how her children were preparing for their end-of-term exams at school. Again – and with no intention of doing so – we spoke about the same realties of candles, darkness, children’s educational aspirations being shut down by a lack of light with which to study, cold weather, closure of borders, shortages of essential things, and, most importantly, the lack of hope that sometimes leads to bitter tragedies. Zaki Alhoubi – a 17-year-old Palestinian boy from Rafah – was the first Palestinian victim this year. On 2 January, Zaki was shot and killed by Egyptian border guards. The teen was trying to cross the fence that separates the Gaza ghetto from Egypt in an attempt to look for a better future. 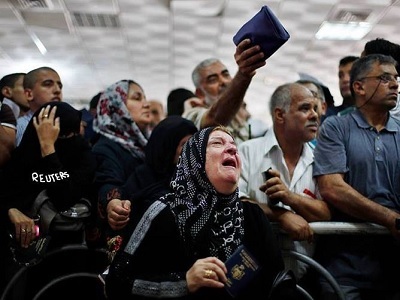 The Rafah crossing into the outside world – Gazans’ only escape hatch not controlled by Israel – has been shut most of the past year and the officials there apply very strict criteria when judging who may be allowed to leave. Since the beginning of 2014, this crossing has been mainly closed except for a few sporadic days when it was partly open. Alhoubi’s hope for a free and dignified future cost him his life. One bullet had a very clear message: Gazans are not permitted to dream, let alone attempt to live their dream. They are not allowed to challenge the status quo, which must be maintained until the expected explosion – which some hope will be an implosion – happens. Alhoubi was killed when he attempted to ring an alarm about the worst living conditions that a human being can endure in the 21st century. He was killed to avenge his attempt to open a hole through one of ghetto Gaza’s many walls. These walls surround the bodies and souls of a young population, in which over 43 percent are under the age of 14. What options remain for these children and teens? They must not forget that Palestine is dominated by a heavy, Israeli, colonial hand and that occupation and blockade are the main barriers separating them from a dignified life. Denying a people their aspirations for too long a time is a very dangerous process, and those governments that are complicit and those that are watching in silence have much to answer for. Everyone can be certain that the besieged Palestinians will not forget. Justice delayed is justice denied. Fearing for the lives of my nieces and nephews, I asked my sister either to not light candles or to blow them out before going to bed for safety. My sister replied that they are now lighting them in a metal container placed in deep dish of water. If a candle were to go out in the night when everyone is asleep, the family would then be safe. With each tragedy resulting from the occupation and siege, Palestinians are learning lessons and best practices. With each Israeli-made tragedy, they are determined to do their best to ensure that it never happens again. This battle has been going on now for decades, and the Palestinians keep on rejoicing that they are not powerless and that they are still protesting and not forgetting or surrendering – as hoped for by the Israeli leaders. Despite the agonies that have become the norm in Gazan daily life, my sister wished me a Happy and Peaceful Year. In reply, I wished her a Happy New Year too – a year in which Palestine will become free of occupation, oppression, blockade, and apartheid. Are you kidding me. The blockade is in place because Zionist want to continue committing murder, depriving Gazans of any basic rights. (Food, education, medical, hope, housing, ) Zionist Israel government works very hard to discredit any news coming out of Gaza. Even imprisioning israelie Jews who speak up regarding their objections to their government crimes. Monitoring the personal accounts of Facebook users. Just a wee, little question on this article, written by one who makes statements which are so one sided, as too be frivolous to the point of ridiculous . Israel provides all necessary amenities to Gaza,with exception of those components the Gazans really prefer, such as continuous explosive weapons fired indiscriminately into Israel(with the sincere hope of maiming or preferably killing as many as possible) while constantly bemoaning the fact that they are in peril and wish only 4 peace! Remember what Gaza was prior to being “given” to u when Ariel Sharon was PM. What happened? Your words r warped. Grow up! You really deserve what u get.